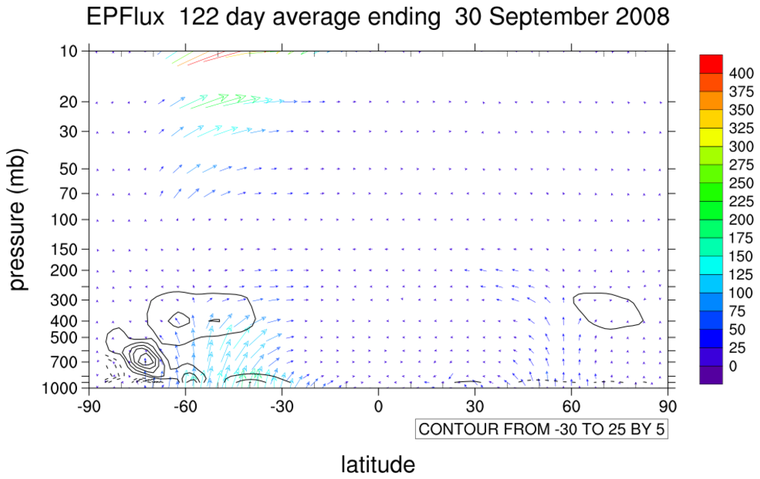 of eddy heat flux and momentum flux. even though the waves produce significant eddy heat and momentum fluxes. Eliassen-Palm cross sections for the troposphere. Eliassen-Palm flux (EP-flux) is a non-linear quantity. Hence, the correct way to compute time averaged EP-flux is to compute it every time step and average the results. 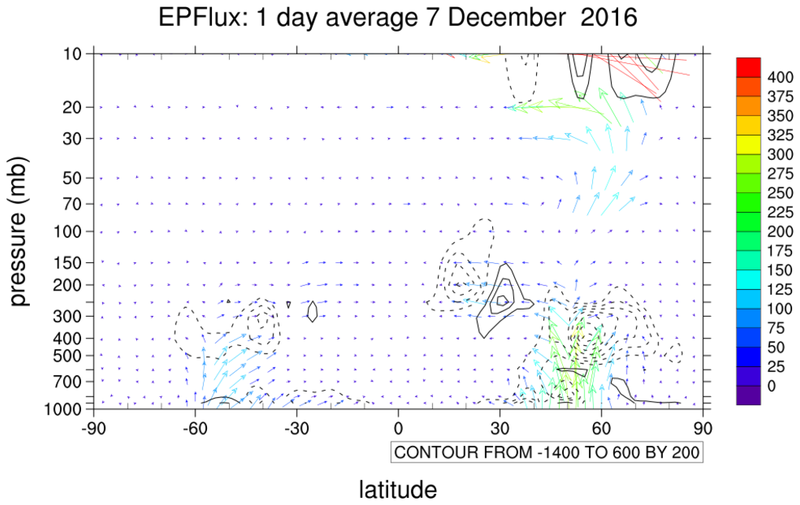 Computing EP-flux from monthly mean U, V, T quantities will result in smooth results that may compare well in terms of patterns but will likely lack the detailed structure of the 'correct' monthly mean EP-flux. 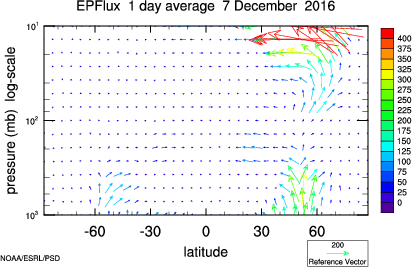 epflux_2.ncl: The example reads daily mean daily data for Dec 7, 2016. 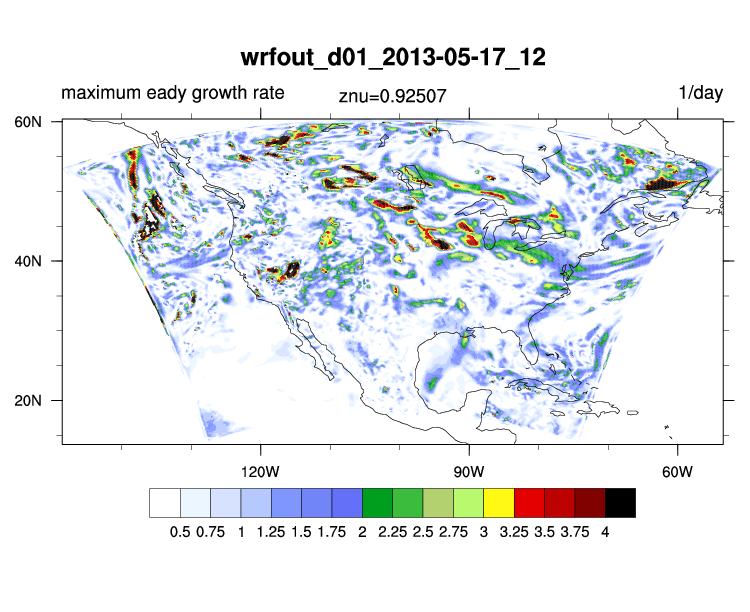 The data source is NOAA's Physical Sciences Division's NCEP Reanalysis daily mean for 2016. 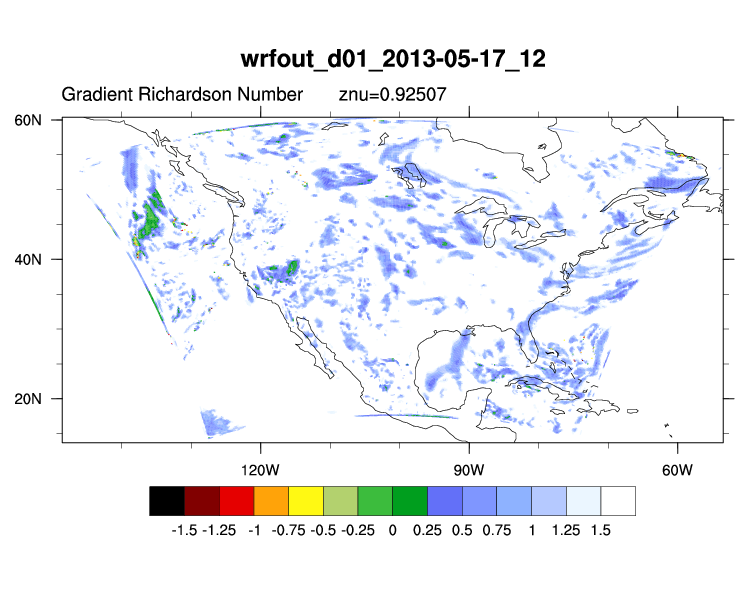 The contours are for the EP-divergence (showacc=0) The image generated by NOAA/PSD is here. 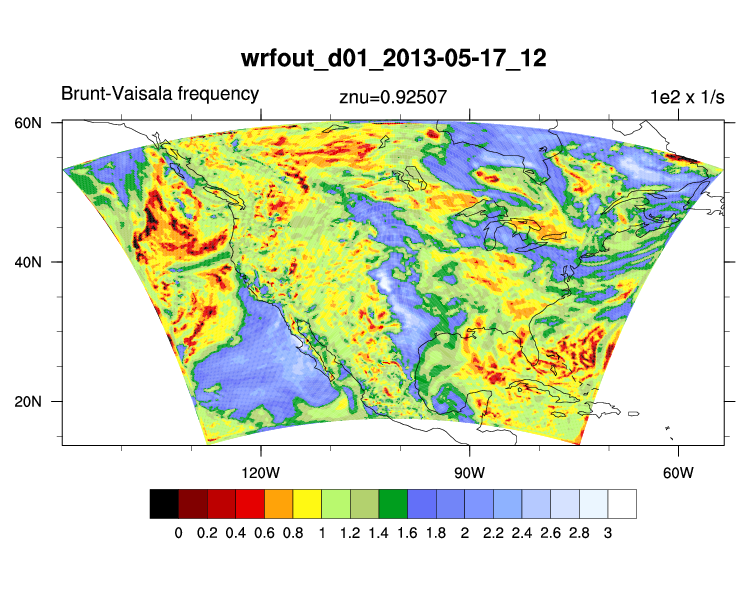 BrRiEgr_1.ncl: Using WRF model input, calculate the Brunt-Vaisala frequency (brunt_vaisala_atm), the gradient Richardson number (rigrad_bruntv_atm) and the Eady maximum growth rate eady_growth_rate. The level chosen is within the boundary layer.